Meet The Psyde Projects; they are Mr Moonshine, D’Fro and ILResponce (as pictured above). The second instalment of their brand new album Classic Stellar Overdrive will be released digitally and on vinyl on the 4th of June, 2015. Hailing from Melbourne, Australia, The Psyde Projects are a hip-hop group built on foundations of a long-serving friendship. D’Fro, ILResponce and Mr Moonshine have been jamming together for near on ten years; cultivating an ongoing soundtrack reflective of their lifestyle. Now on album number three, the The Psyde Projects already boast an extensive back catalogue including various mix-tapes and EPs, all released under their own record label Groove Penguin Records. Classic Stellar Overdrive is a two-part album, with part 1 having been released on casette and digitally in late 2014. The crewe from their own shows, The Psyde Projects have also played alongside the likes of De La Soul, Pete Rock and Public Enemy. D’Fro, ILResponce and Mr Moonshine are all seasoned beat-makers who respect and enthuse in each other’s work, and because of that their music and lyrics possess certitude and conscientiousness. The crew are most comfortable on the stage together causing a commotion with their MPCs and mics. Aside from their own shows, The Psyde Projects have also played alongside the likes of De La Soul, Pete Rock and Public Enemy. When it comes to making beats, all three men are connoisseurs of digging for premium vinyl. Excerpts of old jazz, funk, psychedelic, disco and spoken word can be heard peppered throughout Classic Stellar Overdrive. Lyrically, D’Fro and ILResponce are intrepid storytellers, unafraid of honesty or a decent metaphor. Tracks chronicle life’s obstacles and personal hang-ups with a reassuring sense of humor. 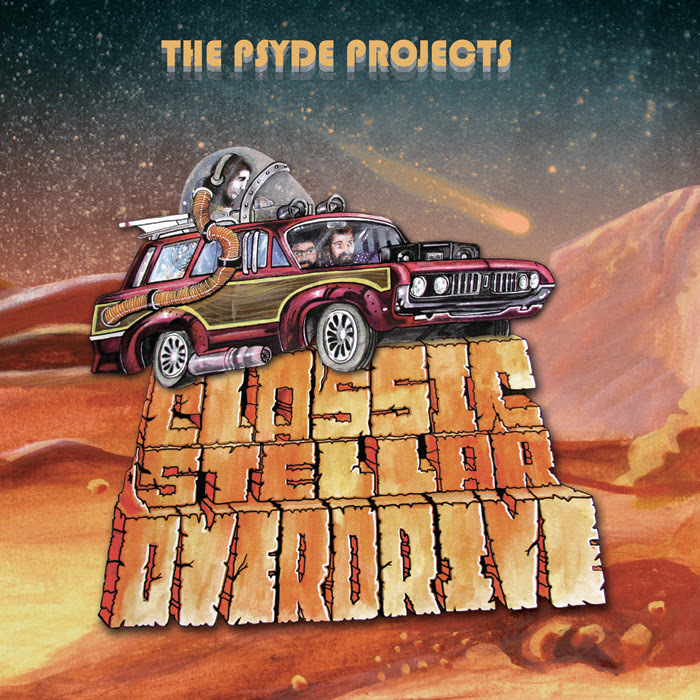 How they did it is hard to say, but The Psyde Projects have managed to infuse Classic Stellar Overdrive with a contagious sense of chilled out optimism.